This land is my land, this land is your land. Whose land is this anyway? Events over the past few weeks both in Israel and at the United Nations warrant a review of three distinct concepts that seem to be alternatively ignored, refuted and merged: heritage, property and sovereignty in the holy land. They are each distinct concepts. Jews have a connection to the holy land that not only surpasses any other people in regards to that land, it surpasses other people’s ties to their homelands, as the Jewish connection combines both history and religion. History: While Italian-Americans may feel a connection to Italy as their ancestors came from there some generations ago, there are very few people on the planet that have a widely accepted history in a land that extends back 3700 years. Starting with Abraham, Isaac and Jacob and extending for 1800 years, the majority of Jews on the planet lived in the holy land. During different periods they were self-governing while in others they were ruled by foreign powers that had control of the region as part of a broader kingdom. Only the Jews ruled the holy land as a distinct entity. Religion: While some religions have holy sites like the Vatican, or a holy city like Medina, only the Jews have a holy LAND, in which the entirety of the land is viewed as a divine promise from God. For the last 2000 years, wherever Jews were in the world, they prayed facing the Temple Mount in Jerusalem. Yet despite the glaringly obvious ties of Jews to the entirety of the holy land, various entities – including many Arab countries and the United Nations – have sought to distance Jews from the holy land. The Arabs have declared themselves as the true indigenous people in the land, even though the introduction of Arabs from the Arabian Peninsula occurred 2000 years after the Jews were in the land. Further, many of today’s “Palestinian Arabs” arrived from elsewhere in the Middle East like Iraq and Egypt during the 1920s and 1930s, after the start of the British Mandate. The arguments that the Jews do not have a deep connection to the entirety of the holy land is an absurdity and insulting. And it does nothing to advance peace. While Jews around the world are deeply connected to the holy land, such bonds do not give them title to any property. Should someone – Jew or non-Jew – want to own land, they can go through the process of taking out a checkbook and buying a home. This is the same basic rule that applies anywhere in the world, such as an Italian-American owning property in Rome. Despite the clear and obvious distinction between property ownership and heritage, some people in Israel have felt no compunction in seizing lands that are owned by Arabs east of the Green Line (EGL)/West Bank, on the premise that the land was promised to the Jews. That’s an absurdity. While international law in the San Remo Agreement (1920) and the Palestine Mandate (1922) clearly recognized the Jewish heritage in the holy land, it only sought to give Jews priority to settle in STATE LANDS, not private property. That is why new communities in EGL like Maale Adumim are completely legitimate, since none of the city was built on private property. However, legalizing the theft of private property in outposts has no legal or moral basis. A third distinction is sovereignty – that is, what country rules the land. An individual Arab can own a house in Beer Sheva which is ruled by the Jewish State, and a Jew should be able to own a home in EGL, even if it becomes part of a new Palestinian State. The government that administers the land should be completely distinct from who lives in the land. Unfortunately, in the Middle East and North Africa (MENA), that is principally only true for Israel. Most of the countries in MENA are almost completely Muslim and/or Arab. There is little tolerance in those countries for non-Muslims and non-Arabs. The trend of creating Arab and Muslim-only areas has continued with Israel’s acquiescence, as demonstrated by the Jewish State’s removal of all Jews from the Sinai Peninsula (1982) and the Gaza Strip (2005). This has led to a presumption that Jews would once again be removed from EGL in a future peace deal. Should such an anti-Semitic condition be part of a peace deal, the notion that there is actually peace between the parties is laughable. Jews have a connection to the holy land that surpasses any other people, and it is a major motivation for millions of Jews moving there, including both to Israel and EGL/West Bank. The UN and Arab countries are completely wrong in challenging the Jewish ties to their holy land. Arabs that have demonstrated property rights must be respected as neighbors. Israel is wrong to take land that is privately owned, unless it is for a clear defensive purpose. And the ultimate sovereignty of the disputed EGL/West Bank is a matter for the two sides to work out. Neither Jewish heritage nor Arab and Jewish property rights should be the defining considerations in determing sovereignty, but a thoughtful approach designed to improve the chance of a lasting peace for the people in the holy land. The Every Picture Tells a Story series in FirstOneThrough compares the use of photographs and captions in the major US newspapers. It demonstrates time-and-again how a liberal paper like The New York Times advances a Palestinian Arab narrative over an Israeli narrative, even in the use of pictures. It would appear that the Times prefers to bury stories of anti-Semitism as well. On February 22, 2017, the major papers reviewed the toppling of roughly 200 headstones in a cemetery in St. Louis, MO. The conservative paper, The Wall Street Journal, was clear about both the significance of the event as well as the target of the attack: Jews. The WSJ ran a story on page A4 which included another colored picture. 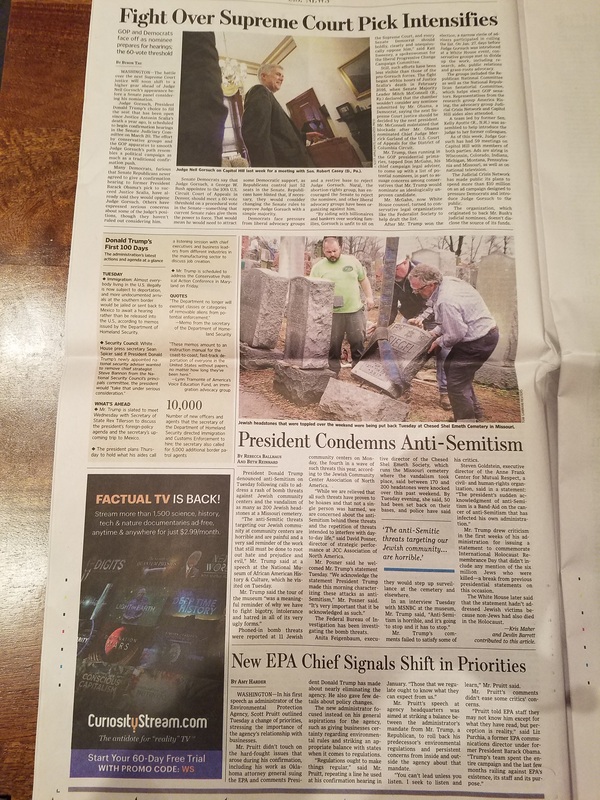 The caption read: “Jewish headstones that were toppled over the weekend were being put back Tuesday at Chesed Shel Emeth Cemetery in Missouri.” As with the front page picture, the caption of the picture was clear that Jews were targeted in the hate crime. That was in sharp contrast to the coverage in The New York Times. The New York Times did not give the story any prominence. There was neither a cover story nor picture. 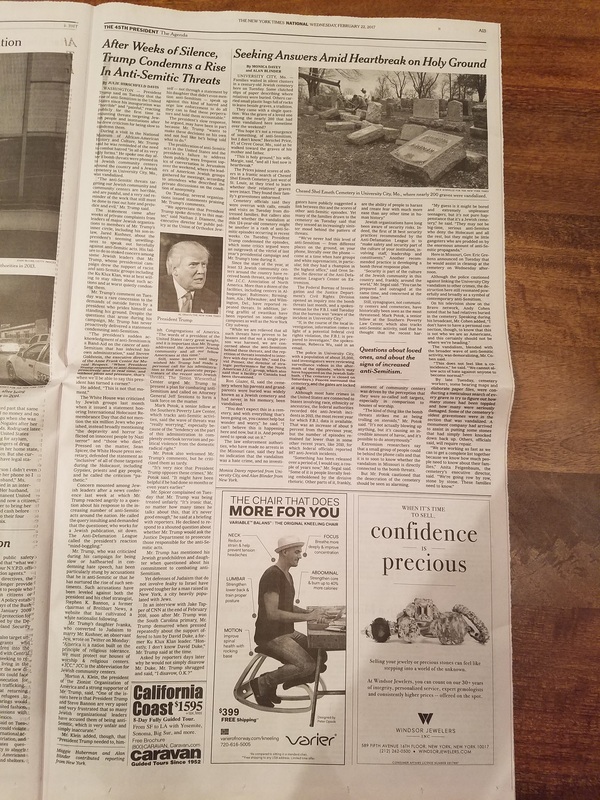 However, back on page A13, there was a medium-sized black-and-white picture with an innocuous caption: “Chesed Shel Emeth Cemetery in University City, Mo., where nearly 200 graves were vandalized.” The caption did not mention Jews or anti-Semitism. The New York Times has a long history of picking on Israel, including targeting its leadership and policies. The paper often minimized stories of anti-Semitism in Europe when it was tied to Israel fighting hostile neighbors. But now, as it continues to minimize stories of anti-Semitism in the United States, the Times is making more clear that the target of its bias is not Israeli policy, but Jews and the Jewish State. The new United States ambassador to the United Nations was unimpressed with her first monthly meeting of the UN Security Council. Nikki Haley addressed the press and called out the blinding anti-Israel hatred at the United Nations. She clearly stated that the US would stand up against the distortions of reality peddled repeatedly at the global body. Some of her remarks were not new compared to Obama’s UN ambassador Samantha Power, who also lamented the anti-Israel bias of the UN. 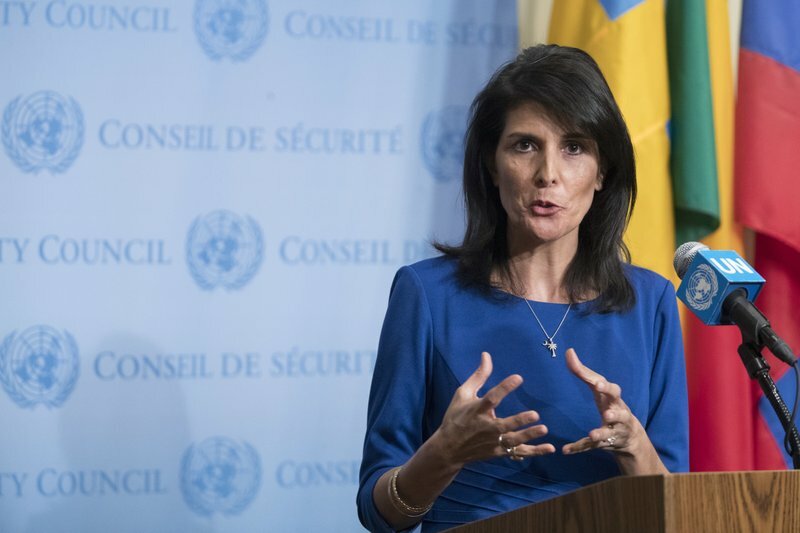 Like Haley, Power also stated that any peace agreement between Israelis and Palestinian Arabs would need to be negotiated directly between the parties and not forced on them by external forces. But there was a clear break from the Obama administration, specifically as it related to Israeli “settlements” east of the 1949 Green Line (EGL). Haley wants the UN Security Council to focus on how “we defeat ISIS,” not on Jewish families buying and moving into apartments in the eastern half of Jerusalem. This is a sharp departure in approach from the Obama administration. How did a condemnation of violence (note that the terrorist was not labeled “Palestinian”) get combined with condemnation of Jewish homes? Because of Obama’s symmetry of Palestinian violence and Jewish presence. It was not just cause-and-effect for the Obama administration; it was the equivalence of evil. The Obama administration wanted to put Palestinian violence in context. It was not naked aggression against innocents as the Middle East witnessed in Syria, Lebanon and Iraq, but simply part of an ongoing dispute about land. 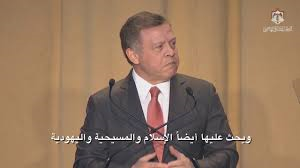 “The United States remains committed to achieving a lasting resolution to the conflict, and we will continue to work to advance the interest we all share in bringing about a lasting peace between the Israelis and Palestinians. We remain in close consultation with the parties and key stakeholders to try to move things in a more positive direction. We continue to call on all sides to demonstrate with actions and policies a genuine commitment to the two-state solution that will enable a resumption of meaningful negotiations in the future. This administration has consistently opposed every effort to delegitimize Israel or undermine its security, including at the United Nations, and we will continue to oppose any resolutions that would seek to do so. As you know, we are very concerned about the situation on the ground and believe that current trends are moving in the wrong direction. This includes our serious concerns about continued settlement activity. Make no mistake – the United States views settlements as illegitimate and counterproductive to the cause of peace. In his recent remarks at the Saban Forum, Secretary Kerry made clear that Israel now faces a choice between continued settlement activity and a two-state solution in the future. As he said, while we do not believe that settlements are the root cause of the conflict, they are clearly a barrier to achieving a two-state solution. The number of settlers in the West Bank has climbed from 110,000 at the time of the Oslo accords in 1993 to nearly 400,000 today. We are deeply disturbed by Israel’s moving forward on the unprecedented legalization under Israeli law of outposts deep in the West Bank. We believe the potential legalization of thousands of settlement housing units that are currently illegal under Israeli law would profoundly damage prospects for a two-state solution. We are further troubled when ministers in the Israeli government say publicly that there will be no Palestinian state. Terrorism, incitement to violence, glorification of terrorists, and other violent acts also profoundly threaten efforts to advance peace. We continue to stress to the Palestinian leadership the importance of strongly opposing violence in all forms. We continue to make clear that the terrorism and incitement to violence must end, such acts run contrary to efforts to preserve prospects for peace. We strongly condemn terrorist acts and other violence against Israelis and Palestinians. There is absolutely no justification for such acts. This went beyond equivocation. Team Obama laid most of the blame for a stalemate of peace negotiation on Jews living in EGL. There was only a single statement against Palestinian Arab violence and the PA leadership’s support of the violence. The problem principally stemmed from Jewish homes and violence and excessive force against Palestinians. “Let me begin with the Israeli-Palestinian conflict. We share the Secretary-General’s serious concern about the situation on the ground, especially the violence against innocent civilians. There is absolutely no justification for terrorism or for the taking of innocent lives. That is why we condemn in the strongest terms the unconscionable terrorist attack last week in the West Bank, where a 13-year-old girl, Hallel Ariel, was stabbed to death in her own home as she slept. In recent months, there’s been a steady stream of violence on both sides of the conflict. On June 21, as we heard, a 15-year-old Palestinian boy, Mahmoud Badran, was killed when returning home from a night out at a water park in the West Bank, in what the Israeli army said was an accidental shooting. Shortly thereafter, clashes broke out at Haram Al-Sharif/Temple Mount during Ramadan. We offer our most sincere condolences to the families of Hallel and Mahmoud and all victims of senseless acts of violence. A deliberate act of Palestinian Arab terrorism became morphed into an accidental killing of an Arab boy. And then somehow Jewish homes get thrown into the discussion. Further, how did a phrase “absolutely no justification” get repeated for Palestinian violence? 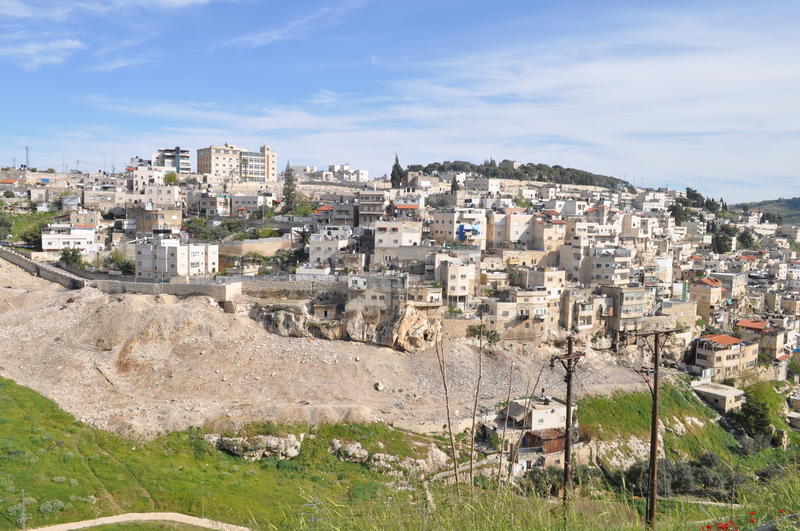 Why was it constantly sandwiched between condemnation of violence and settlements? Either Palestinian violence and Israeli settlements have nothing to do with each other (no cause-and-effect, just both equally bad), or they very much are connected, and the Obama administration really believes that there IS a justification for murdering Jews. #AlternativeFacts have been present for many years at the United Nations, including from the mouths of US officials. Maybe Haley’s new focus on hatred and violence will lead to a more peaceful world. The number one star of YouTube – by a wide margin – is a Swedish guy by the name of Felix Kjellberg, known to his fans as PewDiePie. This week, Disney announced that it was severing all ties with the Internet sensation, after it was revealed that PewDiePie made many anti-Semitic jokes and posted Nazi imagery in his videos. The Wall Street Journal gave the story a prominent position. It wrote about it on the front page on February 13. 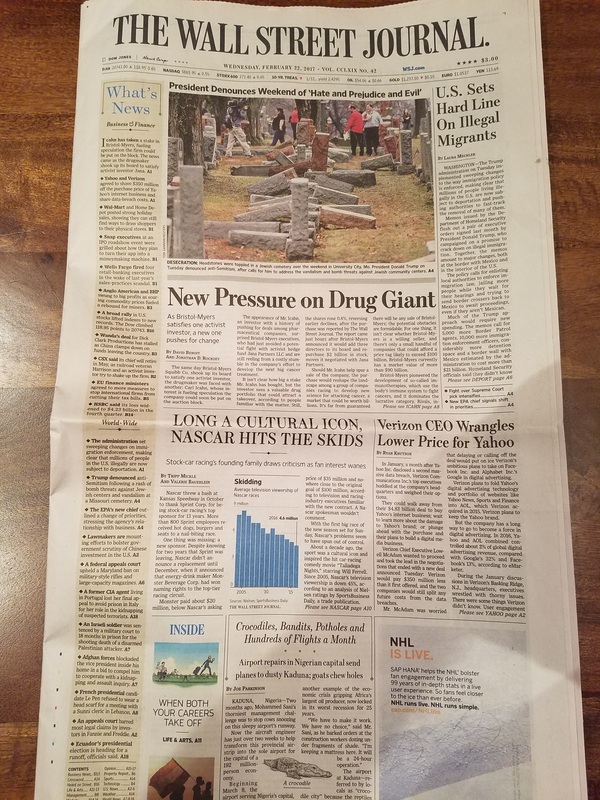 It followed up on the next day, giving the story a dominant position on the cover of the B Section of the paper with a large color picture, graphics and story that continued inside. One would have a hard time finding any mention of the story in the New York Times. 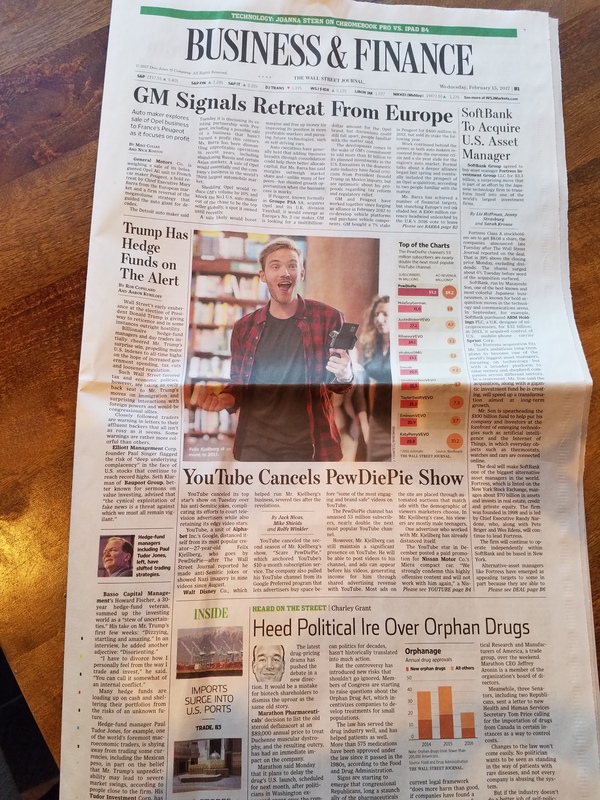 Somewhere on page B3, under a section titled “Arts, Briefly” among various pictures about other news stories, there was a small mention in the final story called “Maker Studio Drops YouTube Celebrity.” No pictures, no graphs. 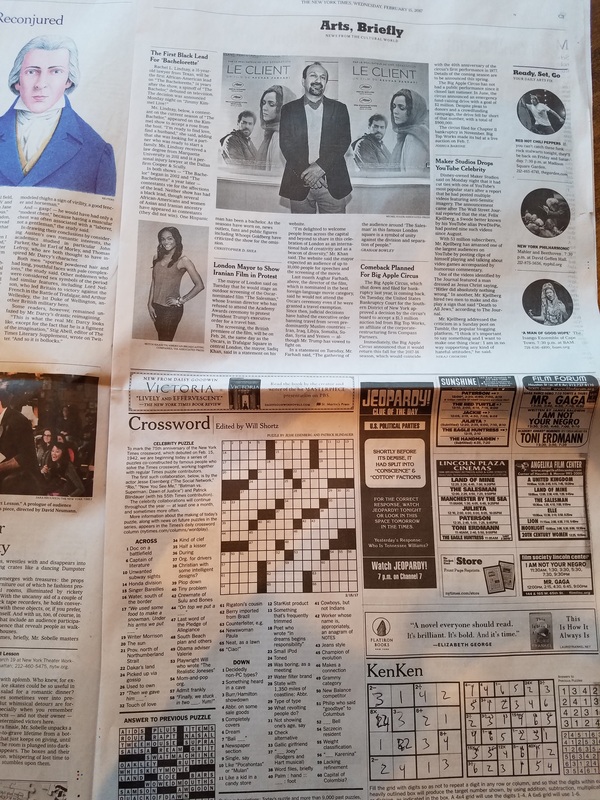 Just a small story nestled among the crossword puzzle, KenKen and movie listings. The Grammy’s, with a viewership of about 25 million, had follow up stories on the cover page about possible racism, long after the event. The Oscars, which have not even happened but typically get about 37 million viewers, had a lead up cover story about racism. But the number one YouTube star with 53 million followers who posts constantly, barely got a mention in the Times for being terminated for anti-Semitic posts. It is a sad continual story of the liberal paper’s refusal to acknowledge anti-Semitism in the world. Does it make the paper anti-Semitic? Read the related articles below before you decide. 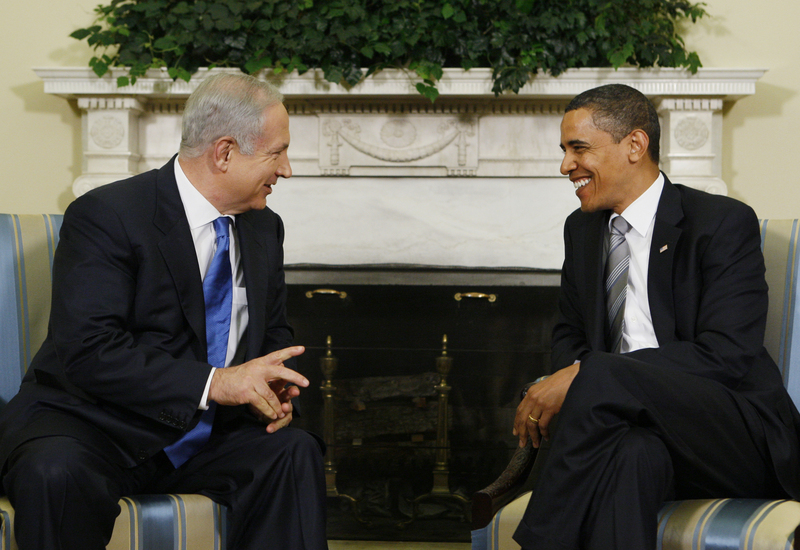 On May 18, 2009, Israeli Prime Minister Benjamin Netanyahu came to Washington, D.C. to meet the new president of the United States, Barack Obama. It was the beginning of a terrible friendship. Netanyahu was extremely distressed about the state of the Iranian nuclear weapons program and urged Obama to set a hard, near-term timetable to reach a conclusive deal with the Iranians, or use military force to dismantle the dangerous program. Obama rejected both the idea of a timetable and the threat of military force. It would take SIX YEARS for Obama to conclude a deal with the Iranians that left their entire nuclear weapons infrastructure in place and permitted the country a legal path to nuclear weapons in a decade. Netanyahu considered the negotiation a collosal failure and argued against it. Obama walked out on him. Along the way Obama did threaten to use force against another state sponsor of terrorism – Syria – but ultimately decided to retreat from his August 2012 “red line.” A couple of hundred thousand dead Syrians later, Obama announced the legalization of Iran’s nuclear program while millions of Syrian refugees swarmed the western world. And now Netanyahu is meeting a new US president. Netanyahu is meeting with Donald Trump to discuss a range of issues. Like Netanyahu, Trump thought that Obama’s handling of Iran and Syria were complete failures. So it is unlikely that Trump will treat Netanyahu like a cuckold the way that Obama did in publicly lauding Iran in his face. Will this meeting set the tone and restart the US-Israel relationship? Time will tell. Politicians have a long history of throwing mud at each other. However, over the past ten years, our elected officials have turned from attacking each other, to attacking sectors of Americans. It has divided our nation. When Barack Obama ran for office, he took aim at the top 1% of wage earners in the country. He blamed “fat cat” bankers for making too much money and further blamed them for pushing the country into financial ruin (“you guys caused the problem,“) conveniently ignoring the government failings for pushing banks to lend to credit-challenged people to buy homes. Obama continued to attack wealthy Americans as people that did not pay their “fair share” of taxes. His attacks appealed to the masses – the 99% of Americans – that would be the beneficiaries of his wealth redistribution. He bought votes by dividing a slice of Americans. Obama’s class warfare was enhanced by far-left wing politicians like Senators Bernie Sanders and Elizabeth Warren. Sanders claimed that “the business model of Wall Street is fraud,” attacking the entire financial sector, not just some “fat cats.” Warren wouldn’t even allow a banker, Antonio Weiss, to leave his position at an investment bank to help fix the economy of Puerto Rico which was in crisis, because she viewed him as part of the evil Wall Street, even though Weiss had nothing to do with the financial meltdown. The radical socialists in Congress were no longer satisfied only picking the pockets of “fat cats,” they wanted them either in jail or unemployed. What these left-wing politicians failed to appreciate, was that there were professions more reviled by Americans than bankers. Specifically, politicians and the news media. According to polls – both by Pew and Gallup – politicians were ranked as the least trust-worthy group by Americans. The October 2016 Pew poll ranked the military, scientists, school principals, religious leaders, the news media, business leaders and then elected leaders in order of highest to lowest in regards to confidence. A total of 73% of Americans had little or no confidence in their elected officials. The December 2016 Gallup poll had similar results, with people in the medical profession scoring as the most honest and ethical, with the least trust-worthy professions being state senators, business executives, stock brokers, HMO managers, Senators, advertising people, insurance salespeople, car salespeople and members of Congress. A total of 59% and 50% of Americans had either low or very low views of members of Congress and Senators, respectively. That compared to 30% for bankers and 41% for journalists. Donald Trump understood this. He rode Americans distaste for their elected officials, and became the first non-public official in the White House. Rather than attack bankers, Trump has taken aim at the media, another industry that is not trusted by Americans. He called out “fake news” which the public has long believed. 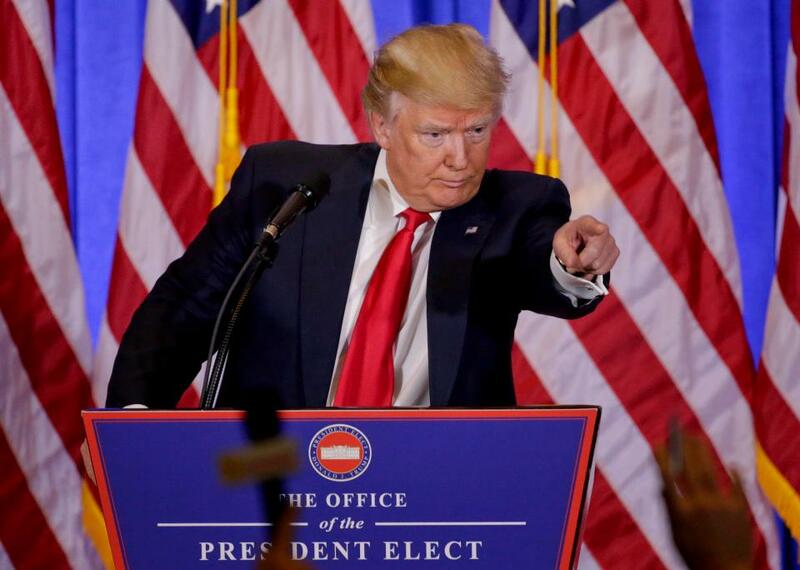 One of his advisors sited “alternative facts” in an interview with the press in an ongoing debate with the media. The press, which has long enjoyed crafting a narrative to fit the political agenda of their editorial boards, are appalled. Already under threat from changes in technology that is making their work uneconomic, they are attacking every move being made by Trump, in sharp contrast to the gentle treatment of Obama for eight years. It would be nice to have politicians debate issues rather than resort to personal attacks. Unfortunately, that has never been proven effective in political campaigns. But politicians have moved passed throwing mud at a single opponent to attacking the American people they are meant to serve. Obama decided to splinter off only a small number of Americans – the “fat cats.” He made fun of Americans that “cling to guns or religion,” but he didn’t vilify them as bringing down the country. We are past that now. Hillary Clinton said that she was proud that Republicans hated her, and then described half of America as “deplorables.” Warren and Sanders have continued the attack broad swaths of America. For his part, Trump narrowed his attacks on those that were unpopular in America. When Americans said that they were more scared of terrorism than mass shootings, he attacked radical Islamic terrorism and went light on gun control. When Americans showed their hatred for politicians and the news media, he berated them to their faces, to the cheers of many. It is ugly. It is popular. It is the voice of protestors and people angry with the state of our world. Our leaders contributed to our division. Do we rely on them to fix it? We are all media pundits in a world of social media. We celebrate and castigate politicians with whom we agree and disagree. But we are also doing so with friends and colleagues. That splinter that Obama opened with the top 1% has opened a chasm in our country and our relationships. Here are statistics about refugees coming to America from war-torn countries since 2002 – covering the George W Bush and Barack Obama presidencies. Periods which had NO protests about refugees. First a review of the countries not impacted by Trump’s EO. The United States has been battling in Afghanistan since the terrorist attacks of 9/11/2001. Thousands of people have been killed and many more injured and displaced as the USA fought to eliminate al-Qaeda and the Taliban. From 2002 through 2016, the US allowed 14,072 refugees into the USA. The annual average under Bush was 966 people per year, slightly higher than the 913 average under Obama. There were no protests that not enough people fleeing the war were let into America. Boko Haram launched numerous attacks in the Lake Chad Basin for several years. The United States has responded with… allowing almost no refugees into the US. From 2002 through 2016, the USA permitted a total of 557 refugees from the three countries confronting terrorism combined. President Bush allowed an annual average of 49 refugees, about twice the annual average of 27 under Obama. The large difference was mostly due to the discrepancy in how each administration treated Nigeria, with Obama only allowing an average of 3 people per year, compared to 34 by the Bush administration. While the majority of the attacks by the terrorist group al-Shabaab occurred in Somalia, Ethiopia and Kenya have also suffered attacks. Between 2002 and 2016, the USA admitted 14,890 refugees from the two countries, almost all of them from Ethiopia. The Bush administration welcomed an annual average of 1,292 per year, 77% more than the 731 annual average under Obama. 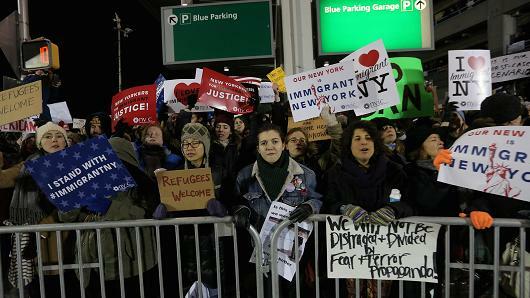 People have questioned why Saudi Arabia – home to 15 of the 19 September 11 terrorists – was not on Trump’s refugee order. In truth, the US barely admits any refugees from the country – a total of 7 people since 2002. In summary, for seven countries that have been involved in terrorism, the US barely admitted any refugees over the past 15 years. 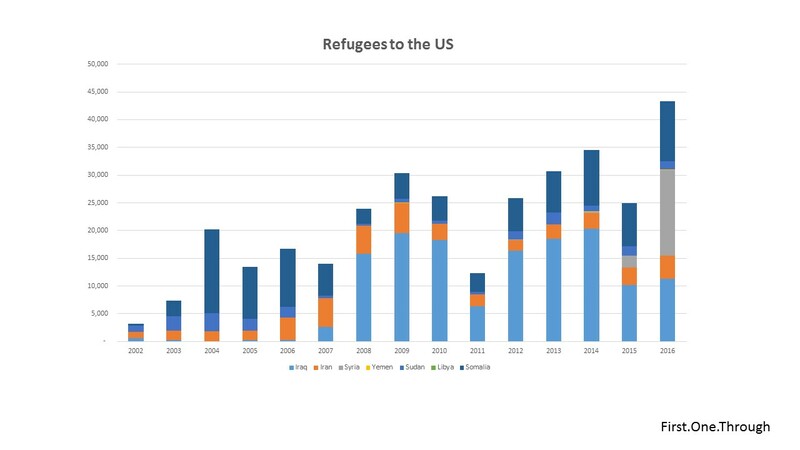 The Obama administration let in many fewer refugees than the Bush administration, even though the terrorism was much more prevalent in the countries over the past eight years than during the Bush years. 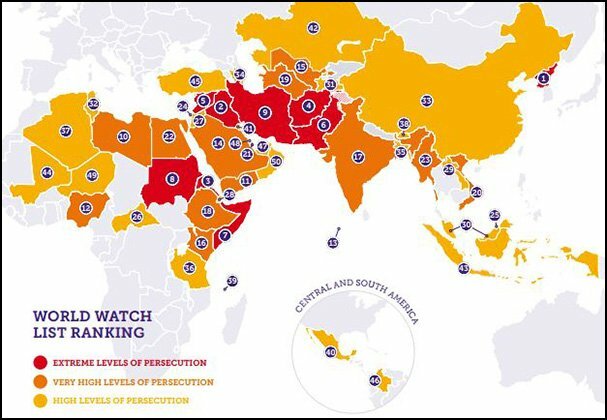 So let’s consider the countries in Trump’s Executive Order. Obama overthrew the Libyan government and then watched as jihadists took over the country; a real moment to celebrate. Not surprisingly, there were no refugees from Libya under Bush (since there was no war or mayhem). However, Obama barely allowed any refugees from the country he actively dismantled – a grand total of 12 people over his eight-year presidency. Yemen has been in on-and-off again civil war for decades. In recent years, the situation deteriorated as the government fell while Iran and Saudi Arabia engaged in a proxy war to control one of the poorest countries in the world. The US sided with its ally Saudi Arabia in the war, and involved with killing many civilians. Even while thousands died, the Obama administration only admitted 123 Yemeni refugees over his entire tenure. Bush admitted just 25. 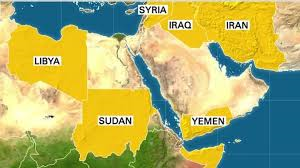 Sudan has suffered from both ongoing civil war and terrorism for a long time and the USA has been more forth-coming granting refugees asylum – a total of 21,180 people since 2002. President Bush welcomed an annual average of 1,678, about 42% more than the 1,179 granted by Obama. Iran has had a repressive government since the Iranian Revolution in 1979. It remains one of the leading countries that executes gays and one of the only countries that executes minors. The US has consistently granted asylum to over one thousand refugees from Iran every year. Since 2002, 45,791 refugees have come to America, with an annual average of roughly 3000 per year under both Bush and Obama. Somalia has been a mess for 30 years, undergoing a variety of civil wars. The unrest was so bad that in 2006, that Ethiopia sent troops in 2006 to help repel the advance of the Islamic Courts Union, which soon splintered into the al-Shabaab terrorist group. Mayhem continues to this day. The US allowed entry to 100,930 refugees from Somalia from 2002 to 2016; a great number of whom have settled in Minnesota. Both Presidents Bush and Obama allowed roughly 6700 Somalis to enter each year. The United States entered Iraq shortly after the attacks of 9/11 and overthrew the government. While the long war under Bush finally helped settle the country, the rapid withdrawal under Obama and the decision to not leave any US troops behind led to chaos and the emergence of ISIS. Over 140,000 refugees have come to the US from Iraq since 2002. The majority have come under the watch of Obama, with over 15,000 coming annually, compared to an average of 2800 under Bush. Syria has been in a civil war since March 2011, in a war that has killed roughly half a million people. Before the war began, there were few people fleeing the country, and President Bush admitted about 14 people per year. From 2009 through 2013, the number of refugees welcomed to America barely changed, but gradually increased towards the end of Obama’s presidency, with 249, 2192 and 15,479 coming in 2014, 2015 and 2016, respectively. Aside from the spike of Syrian refugees in 2016, Obama did less for refugees – over a much more tumultuous period – than Bush. The number of refugees admitted under Bush and Obama were roughly the same, even though the situation for people in the Middle East was much worse since the “Arab Spring” began in early 2011. Further, the terrorist threats from groups like ISIS, al-Shabaab, Boko Haram and others grew dramatically during the Obama years. In a time of greater instability and violence, Obama barely acted in providing sanctuary. But there were no protests in the streets of America to let in more refugees. Even as millions of refugees fleeing the war-torn countries overwhelmed Europe, Obama did not increase the numbers entering the US until the final two years of his second term- and only for Syria. Why the lack of protests in the streets of the USA? Presumably it was because American liberals loved Obama and trusted his liberal instincts. They assumed that he was doing whatever he could – even though it was clear that Europe was doing much, much more than the US in protecting refugees. Conversely, liberal protesters assume the very worst of President Trump. They have listened to his campaign promises about banning Muslims and concluded that his executive order was really a step to ban all Muslims from entering the US. They have channeled their hatred today in regards to refugees. Yesterday it was for abortion rights. Tomorrow it may be about bank reform. In other words, the protestors hate Trump much more than they care about refugees. Their protests are masked as concern for the weak and disenfranchised, as it lends a smug self-righteousness to conceal their ugly anger. It is emotional, not fact-based. So why review the facts above? Why combat or discuss #AlternativeFacts or #FakeNews? Americans stopped paying attention to facts long ago and have relied on screaming and sharing their emotions.